Purpose: To provide transportation to Sunday School and church for children and youth. Details: People interested in getting a ride on Sunday should contact Ken DeTorres. To Help: Volunteer to be a Driver or Driver’s assistant. 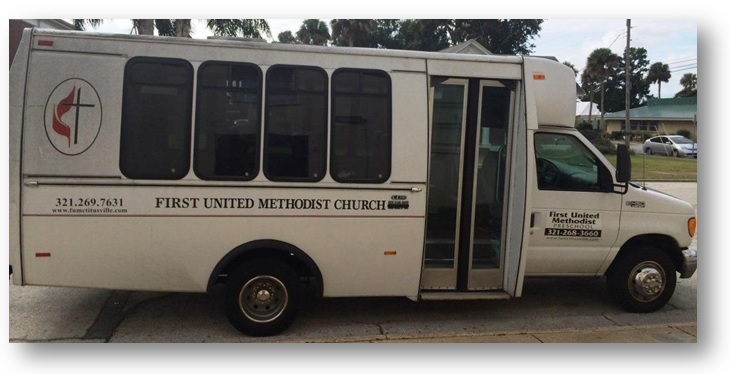 We are currently in the process of buying a new bus to help support the important task of transporting those in need to church and events. If you can help in our fundraising efforts, please contact Ken DeTorres or the office at 321-269-7631.